Tony Cottee shared he was worried about the effect the international break could have on Liverpool ahead of them facing Huddersfield Town on Saturday. 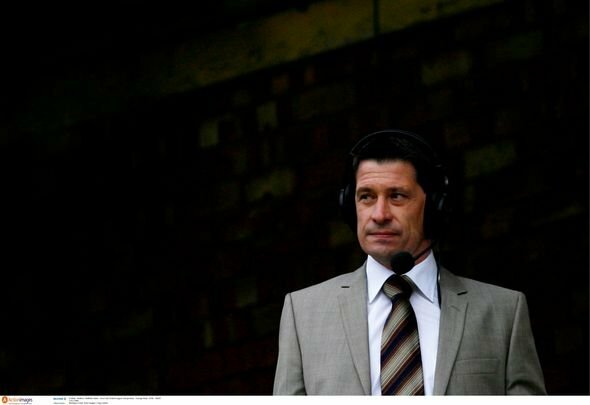 The 53-year-old, regularly seen doing commentary for Sky Sports or on their Daily Show, revealed that normally he would be confidently backing the Reds to beat the Terriers, as are bookies like Ladbrokes, but the international break may have left players tired. Cottee also highlighted the fact he didn’t believe Huddersfield would roll over for Jurgen Klopp’s side on Saturday as while their squad may have no ‘stars’ in his opinion, they would attempt to battle their way to a result. “Not only have they (Liverpool) got a good team, a great squad as well, players are injured you bring others in, Oxlade-Chamberlain to come back etc so fantastic squad,” said the Sky pundit on talkSPORT (Wednesday October 17, 12:50pm). “The only worry would be the international break where so many players are away on international duty that when they come back, they might be tired or whatever and that would be my worry. “Normally you would say going to Huddersfield it would be a Liverpool win but listen Huddersfield are fighting, they’re not gonna roll over, they proved that last season and they will fight to the very end. Cottee doesn’t directly address the injury concerns the Reds have been handed courtesy of the international break, but that’s the sort of thing he thinks may cause them to drop the ball against Huddersfield Town. However the pundit also highlighted the fact that the Reds have a fantastic squad so really Jurgen Klopp should be able to still grind out a win. Cottee is right to point out that Huddersfield will be a formidable opponent not because of the talent they necessarily possess but because they will do all they can to claw out a victory. It might be early in the season but the Terriers are no doubt are aware they have to get as many points on the board wherever possible. No one really will be expecting the Terriers to achieve a positive result when hosting the Reds, so they should be able to play without fear. This makes them a dangerous prospect as while so much is made about games that pit title rivals against each other, dropping points in games to teams perceived to be battling relegation can actually at times provide a bigger dent in a club’s title hopes than losing to someone they’re competing directly for the title with.